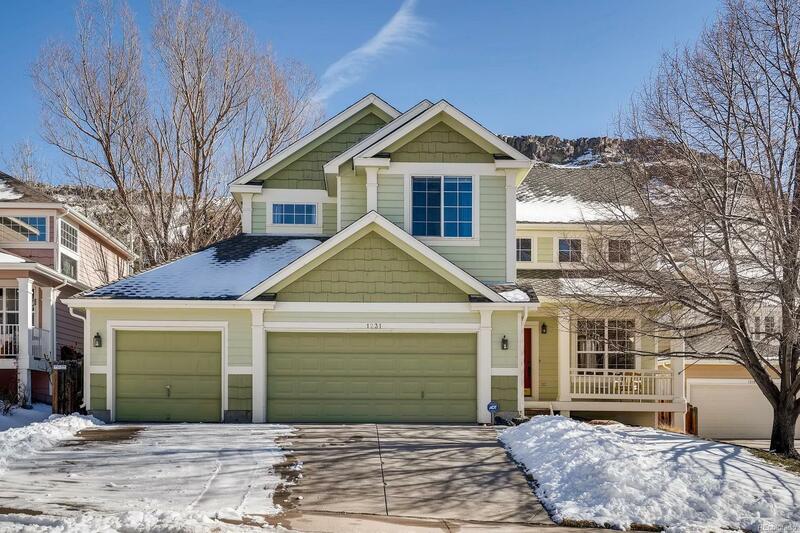 Nestled at the base of North Table Mountain with sweeping views of Lookout Mountain, this fabulous home in coveted Mesa Meadows truly embraces the Colorado lifestyle. Vaulted ceilings and abundant windows not only make the entire home feel light & bright, but they also provide mountain views that make it hard to leave the house! When the outdoors beckon, your options are ENDLESS... play in your private, fenced backyard; hang out with neighbors in the cul-de-sac; take the dog to Cressman Gulch Park right outside your front door; stroll to downtown Golden on the paved walking trail; hike the North Table Loop less than 1/2 mile away; or hop on your bike and see where the day takes you. Back at home, there is plenty of room to relax - the toughest part will be picking a favorite room on the main level, or perhaps retreating to the finished basement and snagging the best seat in the movie theater. This home leaves little to be desired... just your personal touch! Come see for yourself! !